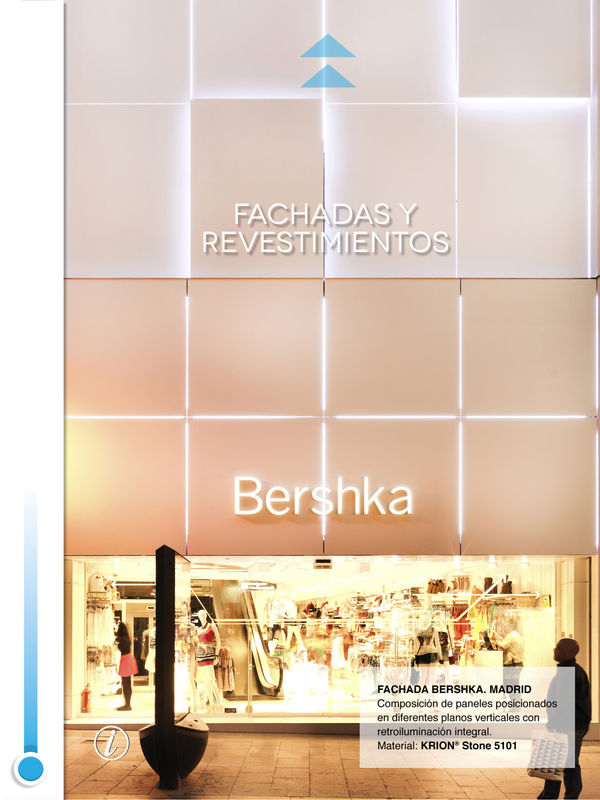 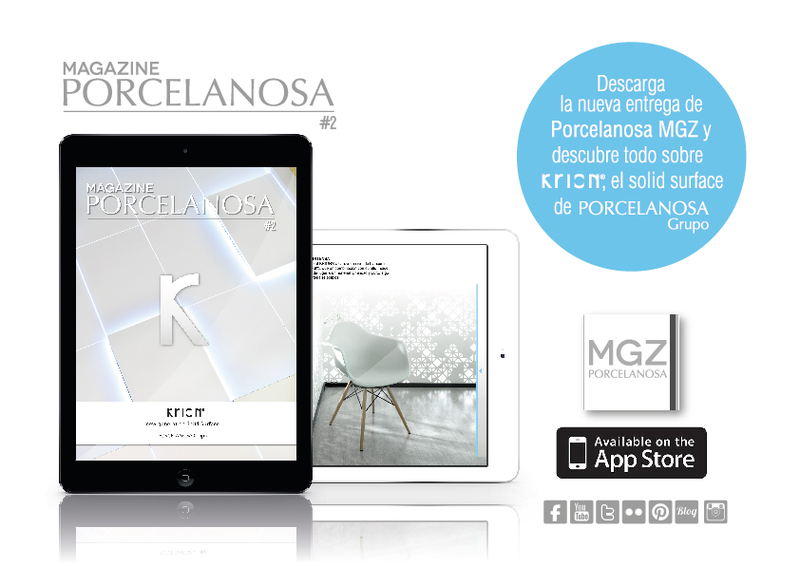 PORCELANOSA Group is launching the new edition of its digital magazine for iPad, the second in the collection of Porcelanosa MGZ applications. 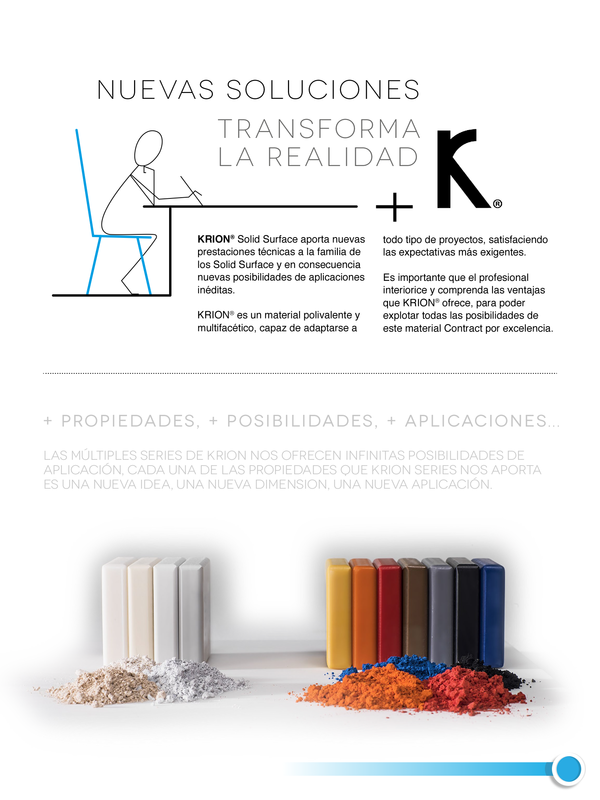 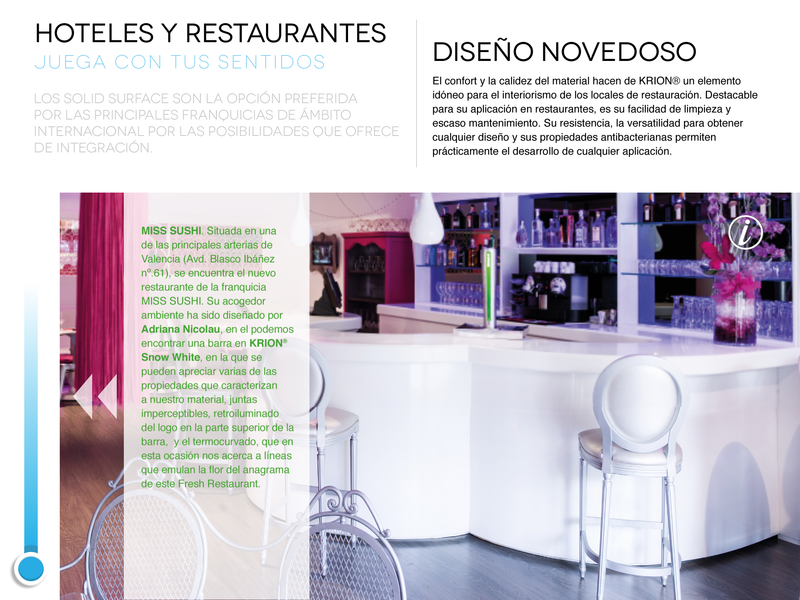 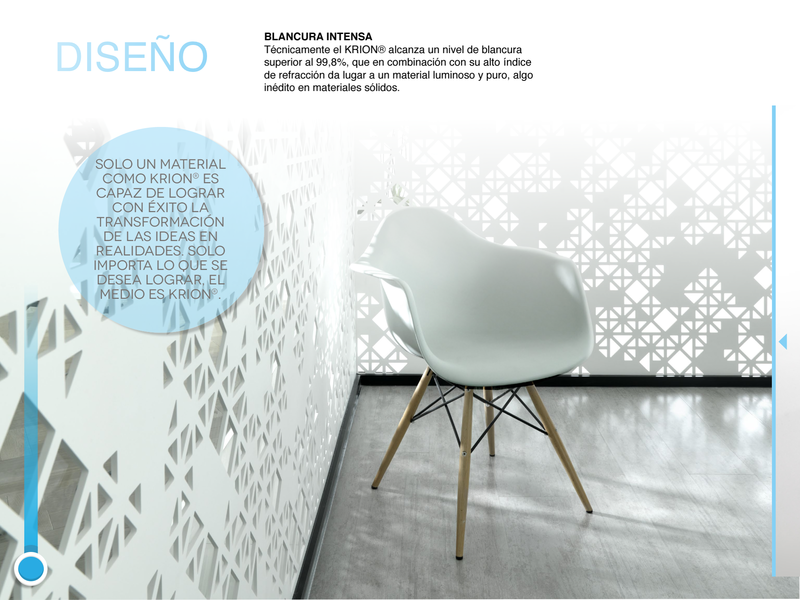 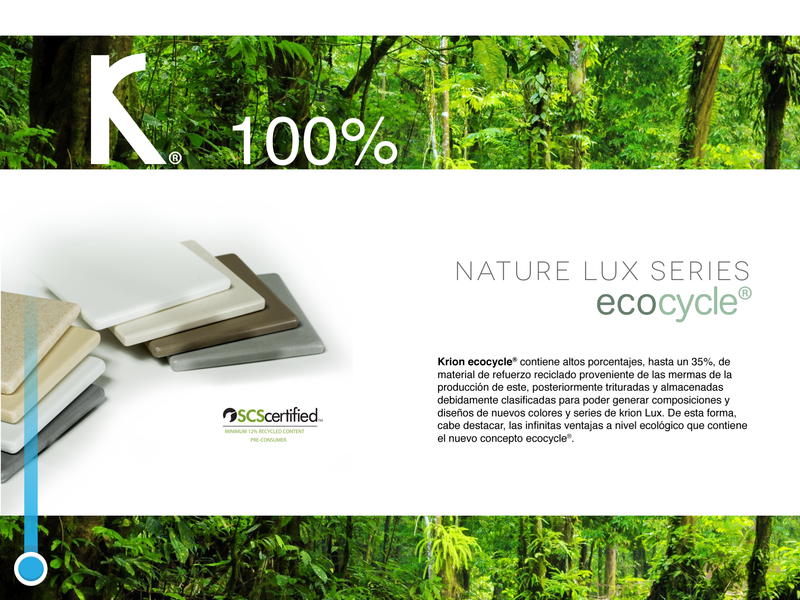 In this case, the issue is dedicated to Krion®, the solid surface developed by the Group. 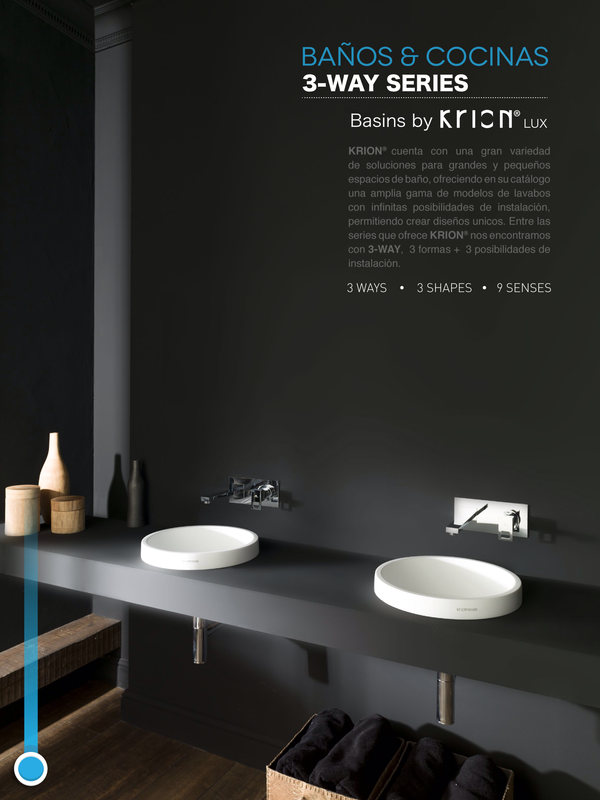 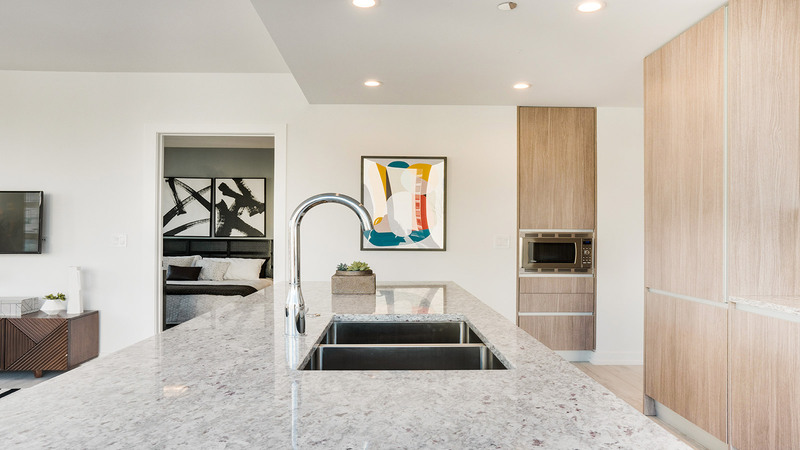 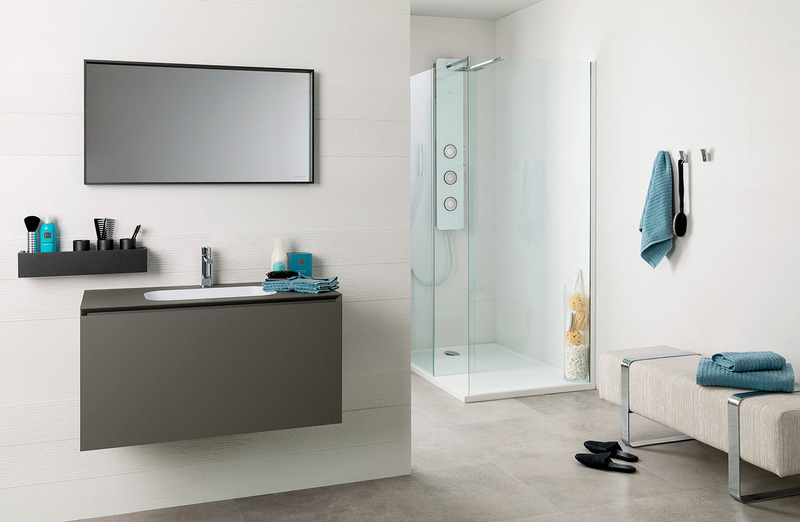 Porcelanosa MGZ Krion, offers the user full information about this versatile new generation material and its design, technical characteristics and properties, as well as the full palette of colours and finishes in which the compact mineral is available. 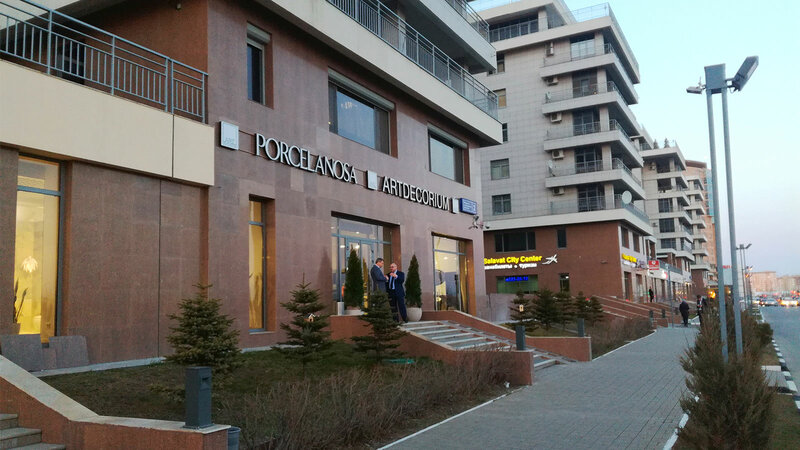 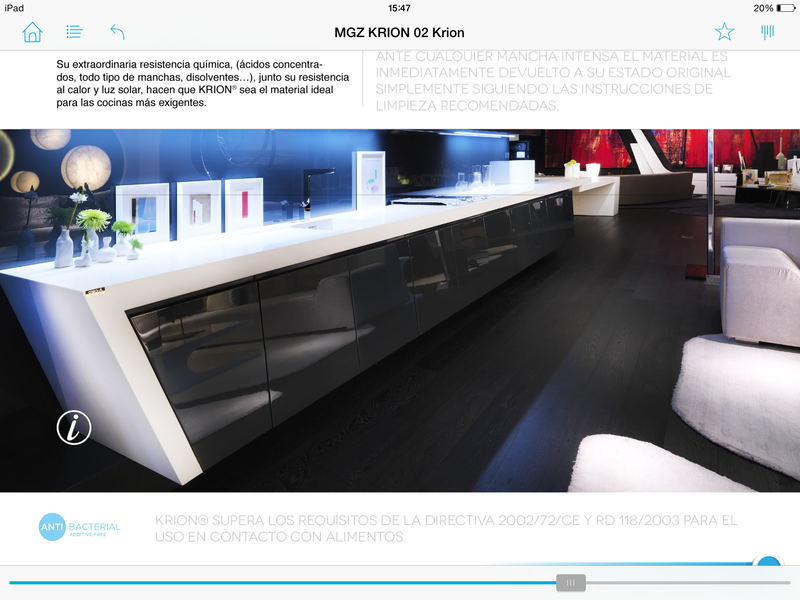 Furthermore, the app offers detailed information and ideas about the multiple uses and applications of PORCELANOSA Group’s solid surface, concluding with examples of numerous projects in which it has been used, giving an idea of the versatility of this advanced material, with some exceptional results in hotels, restaurants, commercial premises and public spaces, and even in hospitals. 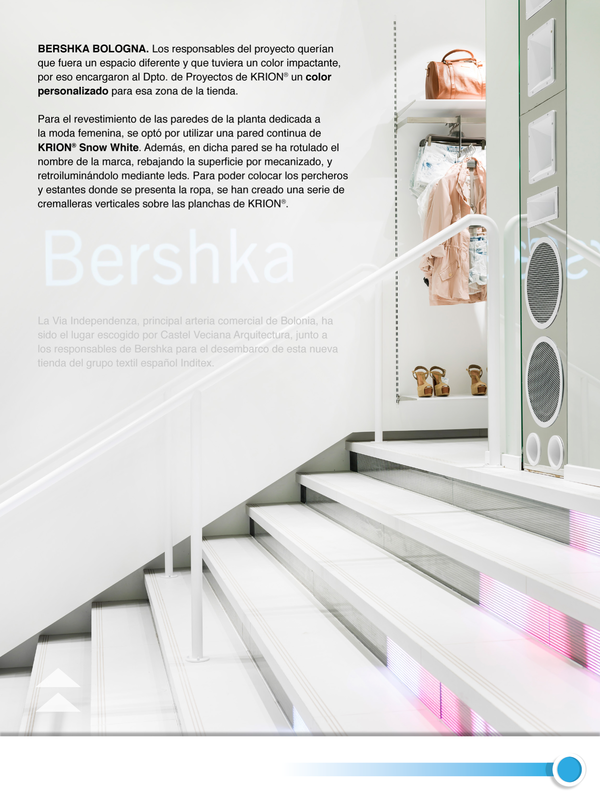 Following the same philosophy as the first edition, the new issue of Porcelanosa MGZ includes interactive images and other audiovisual content to allow the user to get deeper into the world of PORCELANOSA Group’s solid surface. 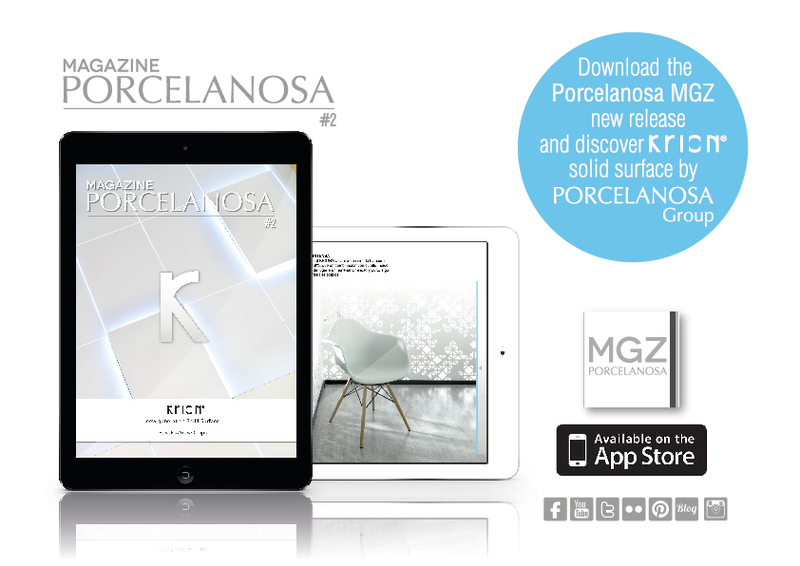 The new Porcelanosa MGZ Krion iPad app is now available in the App Store. 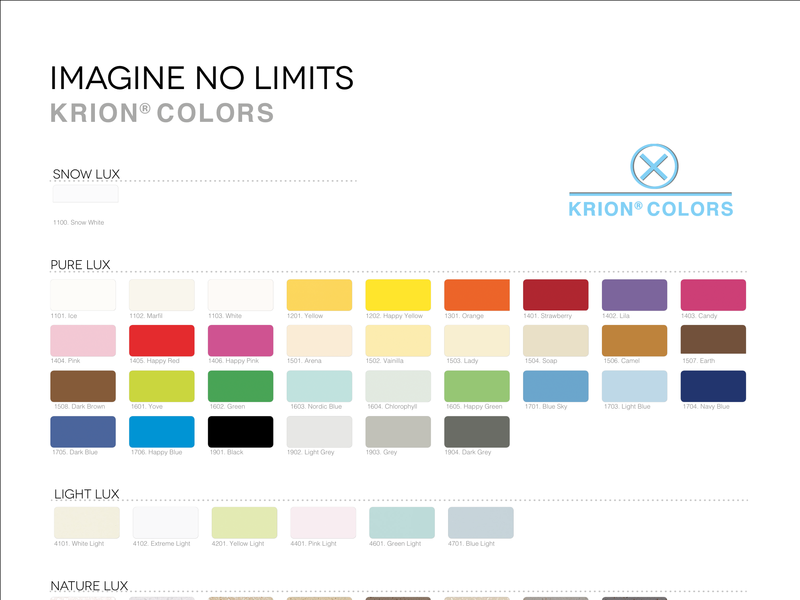 You can download it by clicking on this link.